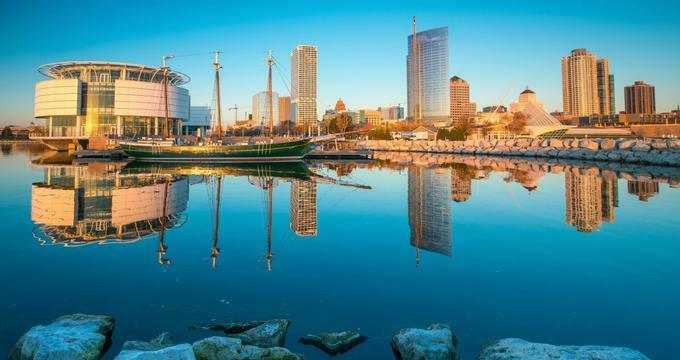 Wisconsin cities and towns like Madison, Milwaukee, Bayfield and Green Bay have much to offer in the way of cultural sites, great restaurants, breweries and museums. Wisconsin Dells, the water park capital of the country, is packed with family fun in the form of theaters, parks, museums, and tours of nearby natural wonders. 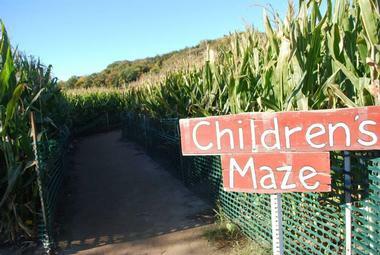 Wisconsin offer plenty to see and do for couples and families with kids of all ages. Cave of the Mounds is a National Natural Landmark in Blue Mounds, Wisconsin. The natural limestone cave was discovered in 1939, but its formation began much earlier, approximately 488 million years ago. The Chicago Academy of Sciences considers the cave to be of significance to the Midwest, and thanks to its wonderful beauty, it is known by many as the ‘jewel box’. Beyond its stalactites, stalagmites, and columns, the Cave of the Mounds also has other interesting formations such as thin soda straws, lily pads, and angled helictites. 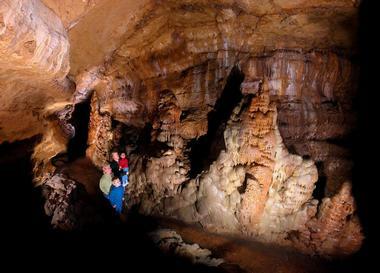 The cave is accessible on a walking tour that visitors of all ages can handle easily. The Milwaukee Art Museum, which houses a collection of more than 25,000 pieces and has been open since 1882, is one of the country’s largest museums. The museum building itself is an architectural landmark. It includes two structures, the Finnish-designed modernist War Memorial Center and the postmodern Quadracci Pavillion, which features a suspension bridge and a winged roof attachment that protects it from the elements. 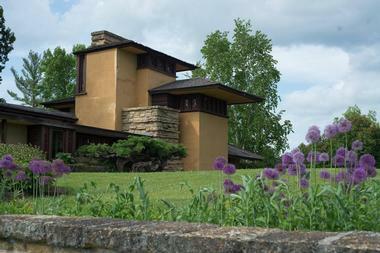 The Taliesin building was famous architect Frank Lloyd Wright’s Wisconsin home and drafting studio. Wright designed the building himself in the tradition of the Prairie School, which emulated the natural landscape of the Midwestern plains. The building was completed in 1911, but it needed to be reconstructed later in the decade after a disgruntled employee set fire to one of the wings. 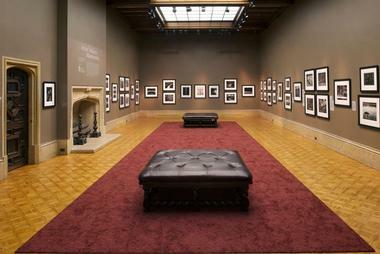 Subsequently, Wright used the home as a place to store his large collection of Asian art. Today, visitors can come to Taliesin to learn about the life and times of Frank Lloyd Wright. The grounds have a visitor center and restaurant, and guided group tours are offered. The Chudnow Museum of Yesteryear is a museum of Americana from the 1920s and 30s housed in a Milwaukee building built in 1869. The museum is named after its second owner, Avrum Chudnow, a longtime collector of mementos and memorabilia. During the time he worked in this house, Mr. Chudnow began to display his interesting collection of items, formally opening the museum in 1991. Today, the exhibits in the museum are clustered into different still lifes, including a grocery store, movie palace, speakeasy, train depot, and political room. Outside, the museum shows off a classic 1930 Chevrolet car. Bookworm Gardens is a seasonal garden with plenty of literature-inspired fun for the little ones. Located in Sheboygan, Wisconsin, the gardens cover an area of 35 acres and have references to over 60 famous children’s books within their colorful, engaging displays. Bookworm Gardens is a wireless zone that celebrates nature, reading, art, and music. Children learn about the flowers and crops of the region and can also read together in one of the many reading nooks scattered throughout the space. There are also a number of interactive activities, such as areas for making music, worm-digging in the worm bin, and alphabet letter searches. Harley-Davidson motorcycles are an American classic, and what better place to enjoy them than in a museum devoted entirely to this iconic brand. The Harley-Davidson Museum in Milwaukee, Wisconsin, has over 450 motorcycles and artifacts from the company that makes them. In addition to the bikes themselves, the museum has exhibits about racing competitions, the design and customization of these motorcycles, and the history of the legendary H-D line. The museum building itself is an architectural gem, taking up 20 acres along the Milwaukee riverfront with great views of the city skyline. Special group and youth tours are available by request. The EAA Airventure Museum is a facility in Oshkosh, Wisconsin, dedicated to the innovative technologies that have taken humanity into the air. EAA stands for Experimental Aircraft Association, and this group showcases the history of manpowered flight with a number of interactive displays at this museum. A Lake Geneva attraction not to be missed, Tristan Crist’s hour-long show is filled with the magic and joy of up-close illusions in a cozy, comfortable setting. Crist combines classic tricks, such as cutting his assistant in half, with new mirages he creates each year. It’s hard to spend even an hour in Wisconsin without seeing some kind of Green Bay Packers paraphernalia. The football team and its legendary cheese head are almost synonymous with the state itself. 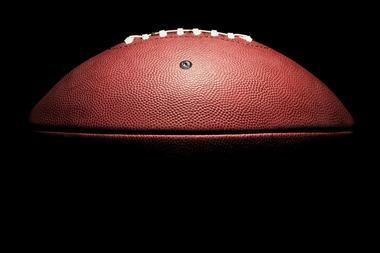 Fortunately, to learn more about the history and growth of this great American football team, one needs only travel to the team’s home turf, Lambeau Field, as this is also the site of the two-story, 15,000-square-foot Green Bay Packers Hall of Fame. The museum is highly interactive, with a number of video and audio displays, including recordings of famous Packers describing how they felt during landmark games in their careers. It also contains many one-of-a-kind artifacts, such as the team’s 13 championship trophies and a true-to-life replica of famous coach Vince Lombardi’s office. 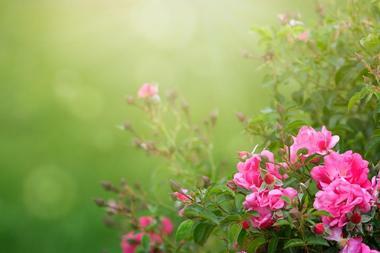 Green Bay Botanical Garden is located in Green Bay, Wisconsin. Since its establishment in 1996, the gardens have continuously grown and expanded and now cover 47 acres of diverse plant and flower species intertwined with fountains and stone paths. The gardens are divided into areas dedicated to different plants, including the Four Seasons Garden, which houses plants that thrive in the winter like lilacs, crabapples, and magnolias; the Scandinavian-style Kaftan Lusthaus; and the traditional Vanderperren English Cottage Garden. Each winter, the garden is covered with over 200,000 holiday lights as part of the annual WPS Garden of Lights. The Farm in Door County, Wisconsin, is the perfect place to bring the kids to learn about how farmers do their job. Referred to as ‘a living museum of rural America’, the farm has exhibits on every aspect of Wisconsin farm life, from livestock to crops. The territory has garden and animal areas, a horse stable, a barn and granary, and a restaurant and gift shop to top off the tour. Visitors can purchase milk to feed goat kids, lambs, and piglets or see the old cabin, sugarshack, and woodshed, all of which were built in the 19th century. Kids and adults alike will have a blast meeting the animals on the farm, educating themselves about the rural way of life, and learning about historical life out on the Wisconsin prairie. The Wisconsin Maritime Museum in Manitowoc, Wisconsin, is a treasure trove of artifacts from the United States’ seafaring history. The largest exhibit is the USS Cobia, a World War II-era submarine launched by the US to fight on the Pacific front in 1943. During its tenure, the Cobia downed two ships; today it has been almost completely restored, and guests can tour its upper deck and top inner floor. These areas include engine rooms, quarters, torpedo rooms, and other functional spaces on the vessel. The museum has a number of other galleries landside that showcase the region’s history as a shipbuilding community. These include a model ship and car ferry gallery. Situated in Ashland, Wisconsin, the Northern Great Lakes Visitor Center combines a host of indoor exhibits and outdoor trails as part of a joint conservation and education effort. The mission of the center is to celebrate Lake Superior and its surrounding area. 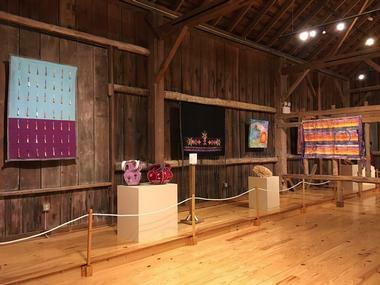 Its museum-style exhibits feature a mural describing the different communities that have lived in the area since its settlement, a model 18th-century fur trading post, and a replica iron mine. Outside, the center has a ¾-mile boardwalk trail that incorporates hands-on activities for kids. The trail winds through local environments such as black ash and tamarack swamps and a sedge meadow. 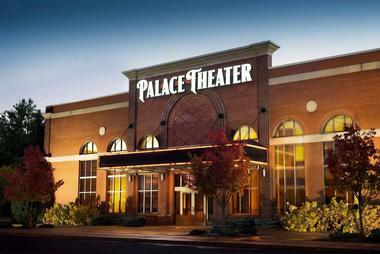 The recipient of a TripAdvisor certificate of excellence, The Palace Theater in the Dells is a regional theater with a rotating schedule of exciting performances. The season includes a wide array of shows, which range from Disney stories to festive seasonal specials to classic Broadway hits performed by their national touring companies. 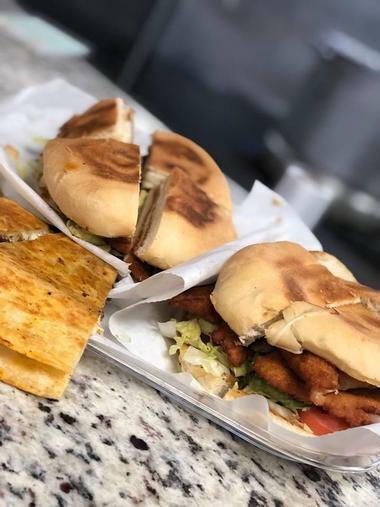 The Palace is more than just a theater, as tickets to every performance can be purchased with an accompanying meal or snack. All shows are kid-friendly, and the theater is located in the heart of Wisconsin Dells, making it the perfect addition to a family vacation to the waterpark capital of the world. 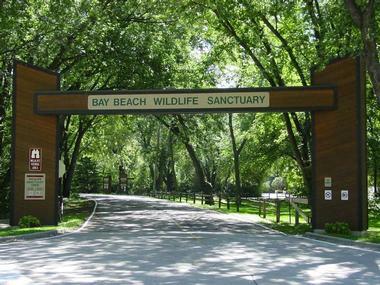 Bay Beach Wildlife Sanctuary spans 700 acres of wildlife refuge territory in the city of Green Bay, Wisconsin. The sanctuary is the largest park in Green Bay, and its curated areas are all about introducing visitors to nature and wildlife. Guide-led programs targeted towards children offer educational looks and up-close time with the animals from the sanctuary, while 6 miles of trails allow for independent exploration as well. In the winter, these trails double as cross-country ski tracks. The sanctuary’s manmade body of water, Manger Lagoon, is open to guests for catch-and-release fishing, and community activities regularly take place here. 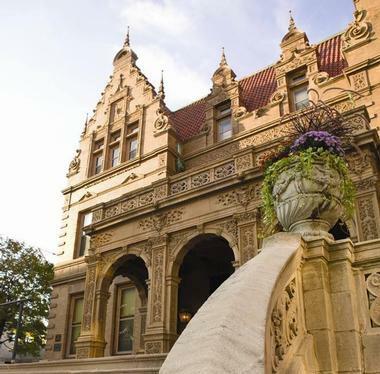 The Pabst Mansion in Milwaukee, Wisconsin, is the charming historical home of Captain Frederick Pabst, who founded the famous Pabst Brewing Company. The large brown brick mansion was built in the Flemish Renaissance Revival Style and was occupied by the Pabst family until 1908. 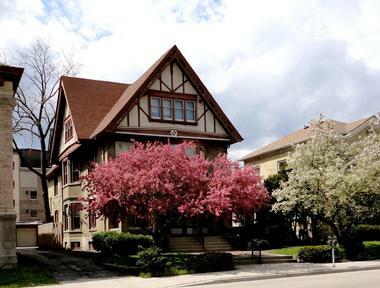 Following this, several archbishops lived in the house until 1978, when it was purchased by Wisconsin Heritages, Inc. and opened to the public. The historic interiors of the home are on display, and they incorporate 4,000 pieces of decorative and fine arts, including china and dinnerware, clocks, and furniture. The facility offers group and educational tours as well as general admission. Old World Wisconsin is an engaging exhibit that gives visitors a picture of what life looked like in the state at the end of the 19th century, when a wave of immigrants arrived in the Midwest to settle and begin new lives. The exhibit consists of a re-creation of an 1880s farming village, complete with livestock in the fields, a local blacksmith, and a general store. There are many unique activities that give guests a real perspective on the daily lives of the former settlers. This means learning about making handicrafts, working on the farm, and sitting in at the one-room schoolhouse. With plenty to do, this museum is the largest in the world dedicated to rural history. Olbrich Botanical Gardens are a Madison, Wisconsin, highlight. Established in 1952 by Michael Olbrich, the gardens contain a number of open-air sections and a closed conservatory. Among the themed garden areas is the traditional English Sunken Garden, which has manicured hedges and a reflecting pool, as well as the rock, meadow, and rose gardens. Perhaps the most important feature of the outdoor section is the Thai Garden, which is home to one of only four Thai pavilions outside Thailand and the only one of its kind in the continental United States. The Bolz Conservatory is Olbrich’s newest addition, a massive glass pyramid with more than 750 plants from hundreds of species. Paine Art Center and Gardens combines the beauty of artistic expression with the allure of garden flowers in a breathtaking historical estate setting. When the manor home was built in 1925, owners Nathan and Jessie Paine commissioned the architect to design it in the Tudor Revival style native to England. Both the interiors and exteriors remain true to their original look, making them an enchanting exhibit all on their own. Inside, the home boasts a rich rotating collection of fine and applied arts, while outside, the outdoor ‘rooms’ of the formal and English-style botanical gardens continue to wow visitors to this day. 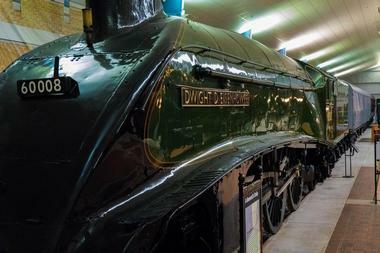 The National Railroad Museum is a museum dedicated to the railroad history of the United States. One of the oldest museums of its kind, it is located in Ashwaubenon, a suburb of Green Bay. The museum has a large collection of locomotives situated outside on its property, as well as a number of railroad artifacts and photographs within its exhibit halls. A railroad track encircles the museum’s territory, and visitors can climb aboard and take a ride during the summer season. Guided and self-paced museum tours for adults are available, as are hands-on kids’ tours targeted towards different age groups. The Wisconsin Deer Park is a family-friendly petting zoo located in Wisconsin Dells. One of the area’s oldest attractions, the deer park has been around for over 50 years. Visitors can walk along a four-block path in the zoo’s 28 acres to meet and learn about all the different kinds of deer and other wildlife. The deer at the park are at various stages of life, from fawns to fully grown adults. The other furry friends in the petting zoo include goats, llamas, horses, and emus. Guests and their children are welcome to feed the animals in the designated feeding area. 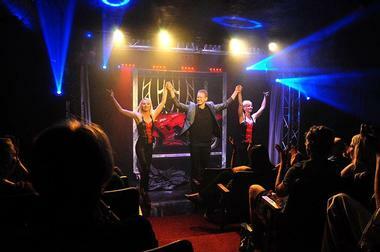 The Rick Wilcox Magic Theater is one of the top-rated attractions of the Wisconsin Dells area. Rick and Suzan perform an entertaining comedy and magic show, known as the Grand Illusion Show, to the delight of a crowd of 550 people several times per week. The show features intriguing family-friendly magical illusions combined with the Wilcoxes’ on-stage chemistry to make for a night of fun for parents, grandparents, and kids. Rick and Suzan are always available to give autographs after the show, and the theater even has an in-house shop with its own collection of magic-themed souvenirs and kits. The latest maze was created together with the University of Wisconsin’s Geology Museum and is shaped like a trilobite, which is the official state fossil. When seen from the air, it is obvious that the maze is divided into sections, each with a different trilobite specimen, while the center has a huge, 500-foot-long design of this ancient fossil. From far away, it is hard to believe that the whole design is cut out of a corn field. 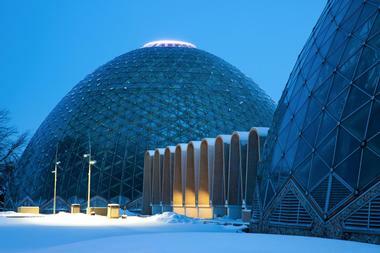 The Mitchell Park Horticultural Conservatory, fondly known to locals as ‘the Domes’, is a set of three glass domes located in a park in the city of Milwaukee. The domes were constructed in the 1950s and 60s and today each has a theme. There is the Show Dome, the Tropical Dome, and the Desert Dome. The Show Dome has a seasonal rotation of garden shows, while the Tropical Dome is home to over 1,000 plant species that thrive in tropical weather, including a number of fruit trees. As expected, the Desert Dome is full of plants that love dry climates, with most of the species coming from Africa and the Americas. Circus World is a circus lover’s heaven in Wisconsin Dells, Wisconsin. The large complex combines a circus-themed museum with daily live circus performances to create a fun family attraction beloved by both kids and kids at heart. The program includes a classic big top circus show, a show with live tigers, an interactive circus where the kids themselves get to perform, a musical comedy act, and music- and animal-related activities. These live shows happen at Circus World in concert with an extensive historical exhibit that incorporates classic circus posters, an old Ringling circus structure, and a group of circus wagons located outdoors.